If a picture is worth a thousand words, this video must be …. priceless! 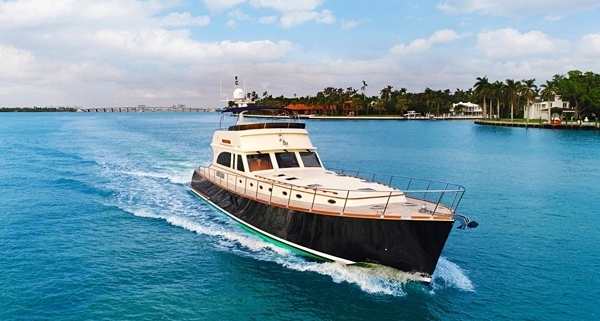 My new Yachtworld listing for this Vicem 72 Flybridge generated more first week inquiries than any I’ve ever posted. And that’s before I added this stunning video! I reasonably expect she’ll soon become the subject of one of my “You-snooze-you-lose-agrams.” If you are seriously in the market, I urge you to schedule a viewing as soon as you can. That’s what most production builders say to clients who ask for a custom build. And that’s the family-friendly response. On the factory floor they’ll insert a few choice words in between the “no” and the “way.” Then they’ll direct their client toward custom builders who quote these kind of projects every day. 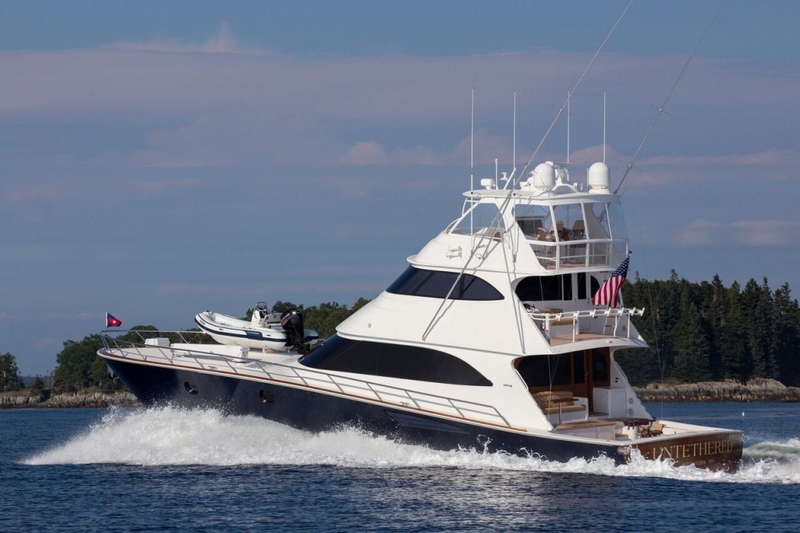 How do you make a small fortune in the boat biz? That gets a laugh every time I tell it. But as Shakespeare so aptly wrote, few things are said in jest! Successful builders succeed by understanding and managing risk. The best production builders excel by spreading that risk over many units. It’s not a foolproof model, but it’s a well tested one. It is very hard to estimate costs, profitably. If you haven’t done it before, educated guesses about the labor involved often come up way short. For specific options, I’ve seen 100 labor-hour estimates exceed 500 hours when all is said and done. And yes, it’s the builder that eats most of those cost overruns (with great indigestion). Most custom builds require outside designers, architects, and interior designers. 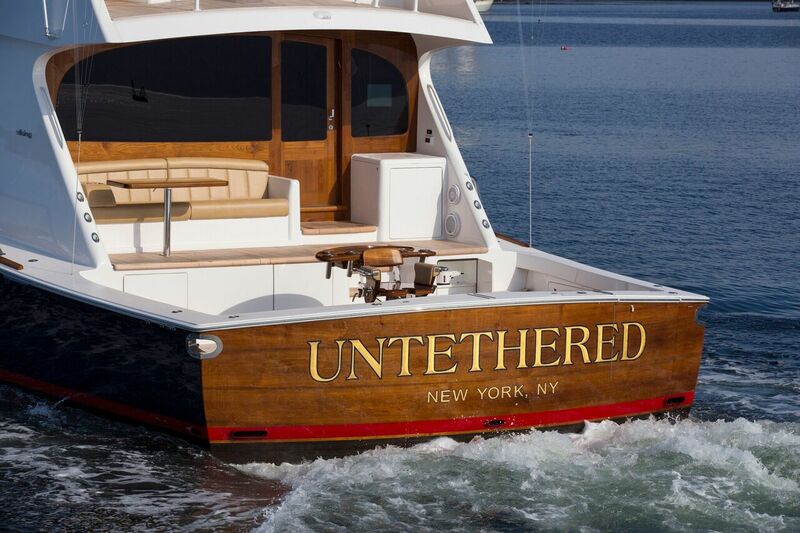 Building a yacht requires clear and efficient communication paths, and a shared vernacular. Bringing in outsiders can disrupt that process, in very costly ways. Depending on outsiders makes builders subject to calendars they can’t control. Watching your exquisitely planned Gantt chart stall out because of people outside your organization is a painful and expensive exercise for a builder. Who pays for it? See indigestion, above. Performance spec’s, everything from final displacement to max speed (two sides of the same coin, always) are hard to predict in a big custom build. Getting it right can add months and hundreds of thousands of dollars to a build. But every now and again a production builder takes a big breath and accepts the challenge. The reasons? It’s great way to get some quality R&D on someone else’s dime. Knowledge gained during the build almost always translates well to their core production. Remarkable custom builds have a way of becoming production builds for others further down the road. Breaking the mold (a bad boat biz pun there) challenges the build staff to seriously up their game. This usually pays significant dividends on subsequent builds. Magazine covers, magazine covers, magazine covers…. 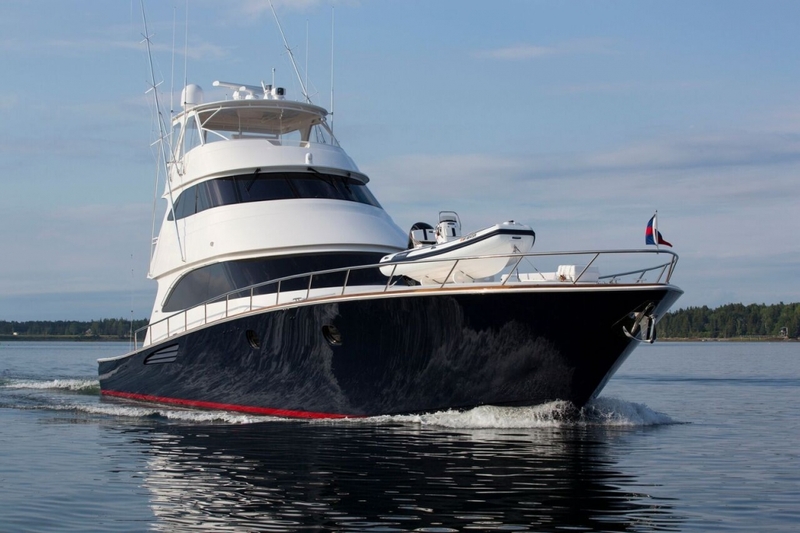 Untethered, this 2016 custom Viking 82 Enclosed Flybridge Skybridge Model, is as fine a yacht as I have ever seen. 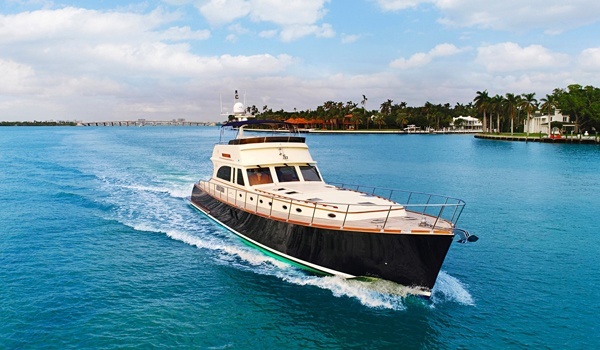 Viking accepted the challenge of building a highly customized yacht, with layouts and materials they’ve never used before. I’m very glad they did. She was commissioned by a friend of mine, and her specs and design considerations are so unique that I am going to spend the next few months of blog-time highlighting features that I think that you, my loyal readers, will find useful and interesting in your own nautical adventures. Her story is fascinating from beginning to end, so buckle your seatbelts and enjoy the ride! 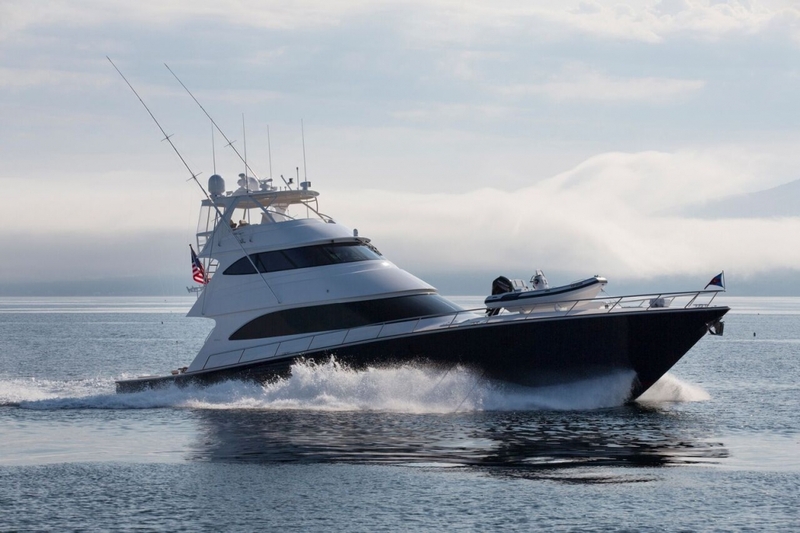 Additional pictures and specs can be found at the ‘Brokerage Yachts” tab at the very top of The Fog Warning. And if you are impatient, or in the market for a true marvel (understandably so) just give me a call and I’ll tell you some of her stories. You can thank me later. 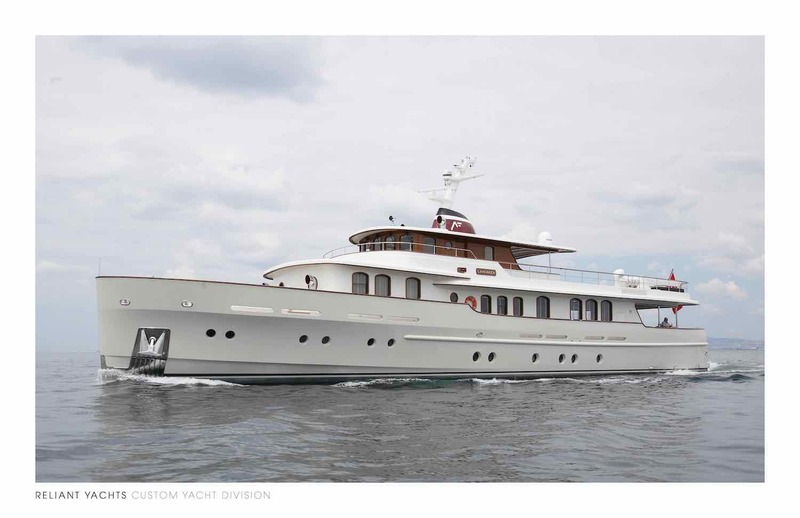 I leave for Fort Lauderdale tomorrow to spend some quality time aboard both of these fine yachts. If you are in the area, launch a flare.